This cord has an interlocking solid braid construction, a durable composite cotton cover, and is polished with a weather resistant coating. It also has a synthetic reinforcing core. Hanks are 100' connected and shrink wrapped. Cotton rope is naturally soft, easy to work with, braids well and is very popular in the livestock industry. It is commonly used for halter and lead ropes. 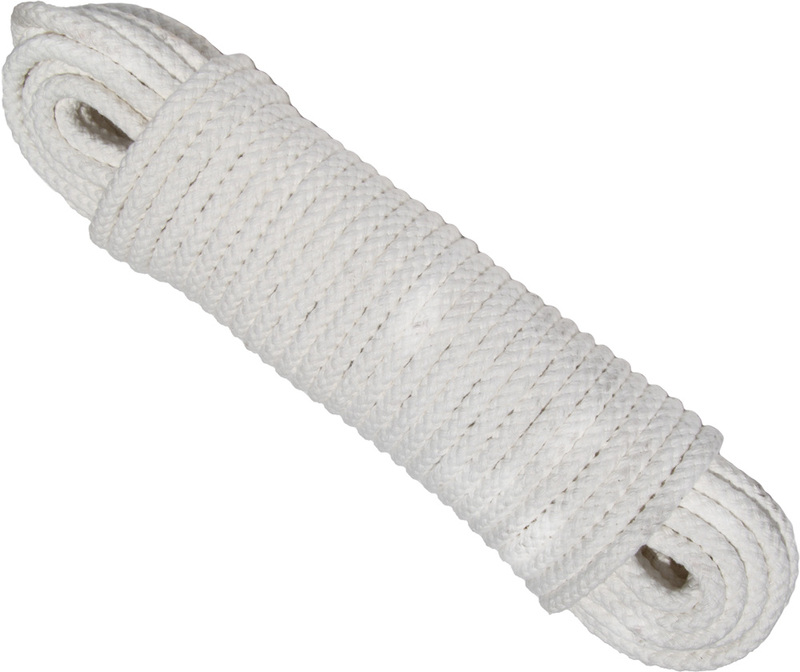 Cotton rope will not induce a rope burn as quickly as nylon and polypropylene rope. Cotton is a natural fiber, typically white in color.